Read Wild Bob Burgos on his own words, for a fistful of drumbeats! Wild Bob Burgos, one of the most influential rock drummers of those last 4 decades, backed Screaming Lord Sutch for more than two decades, between 1979 and 1993: with The Savages of course, but also 'Shotgun', 'Blackcat', The Freddie Fingers Lee band and 'The Helsinski Savages' ect. He was of Spanish extraction - his name first originated from the City of "Burgos" in Spain - and grew up in South East London, England. By the mid sixties he had taken up playing drums and started professionally in 1968 with a local band called "Intec Sounds" that also included Ray Liffen on guitar, Roger Atkins on bass, and an Irish vocalist called Pat on Vocals. Liffen introduced Bob to bass player Rob Murly at a gig in the early 1970s and they have been friends ever since. Bob and Rob played together with 'The Count Bishops' in 1975 alongside Mike Spenser on vocals/harmonica and the late Zen Hierowski aka "Zen De Fleur"on guitar, a couple of years before Pat McMullan joined them. Wild Bob Burgos first met up with Dave Sutch back in 1976, when on tour with Matchbox on the same bill as Screaming Lord Sutch & The Savages. They soon became good friends. Sutch asked him to join his band 'The Savages' as his drummer Bobby Woodman was leaving. However he first backed Screaming Lord Sutch when the members of Shotgun were all set for a tour of Devon and Cornwall with him in August 1979. But a couple of days before the start of the tour, Rob Murly accidentally broke his arm so they asked Keith Neale aka "Keith Builder" to stand in for him. Keith only had a short stay with 'The new Savages', only playing on one tour - along with Shakin' Stevens & his Sunsets - that took them to the south coast of England, starting at 'The Top Rank Suite' ballroom, Plymouth, Devon, and ending up playing on the Isles of Scilly. Some of other venues were at the 'Festival Theatre' in Paignton, where they first backed 'Heinz', The 'Circus Tavern' in Plymouth, Devon, and 'The Cornish Riviera Lido Coliseum' in Cornwall with Joe Brown. Rob Murly then took over when he was able to play again. Throughout all their tours, and in every town they played, 'Screaming Lord Sutch and the Savages' always had publicity shots for the news papers, Radio, and Television. The photos where they were all messing around with swords were taken at the 'Plymouth Hoe', England. 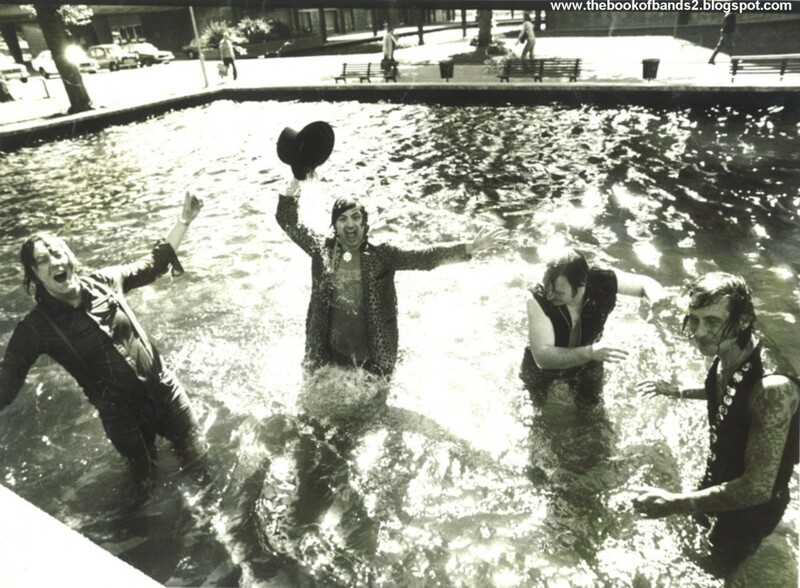 The photos of them all in the water, were taken outside the 'The City of Plymouth's Council Offices' for maximum publicity the day before the concert. All these photos were taken by the local press who were promoting their shows across this part of the country at the time. As Wild Bob Burgos recalls "Dave Sutch became very famous for all his publicity stunts, and wherever they played there was never a dull moment. He was a true master when it came to exciting the public and filling dance halls up and down the country." But most of the time after 1979, It was the 'Savages' that used to back different artists whilst on Rock 'n' Roll Stage Shows, Clubs and Festivals. We played in many pubs, several night clubs, large dance halls, ballrooms and theatre's on that unforgetable tour. Other tours took us to many universitie's across the country including Bristol, Newcastle, Folkstone, Cambridge, London and many more, including radio and television interviews in every town and city that we played in. 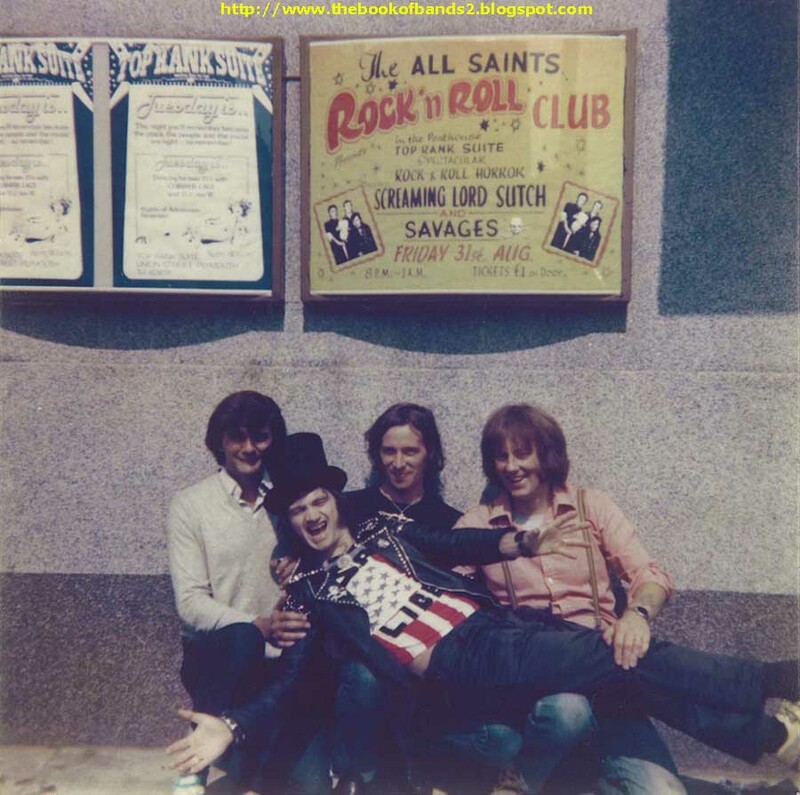 We were often booked to play in countries like Spain, Germany, France and Finland, where 'Screaming Lord Sutch and the Savages' were a household name, that would fill many dance halls at every venue we played. He then recorded "Midnight Man", "Thumpin' Drum" and "Scream And Run" alongwith his pals from 'Shotgun', guitarist Iain Terry and bass player Rob Murly, supplemented by keyboardist Matthew Fisher (of Procol Harum), and by Saxophonists Kit Packham and Pete Thomas. Those 3 tracks were released 20 years later on one of 'Screaming Lord Sutch's earliest C.D. releases, for Raucous records. Remember the sleeve where Dave Sutch is holding a huge axe. 'Shotgun' toured with Dave Sutch as the Savages in July and August 1981, and in October, they went into the studio to record 'The Loonabilly' E.P. (Screaming Lord Sutch & The Savages) --Loonabilly-- on Ridgemount Records, London 1981. In between gigs Wild Bob was also drumming with various 50s and 60s singers including Heinz, Marty Wilde, American pioneers Buddy Knox and Chuck Berry, and French Rockers Johnny Hallyday and Eddy Mitchell. While he was drummer for The Dave Travis Band, in fall of 1982, he had the opportunity to back American pioneer Janis Martin at the Rock festival held at Ladbroke's, Perran Sands in Cornwall, England. She requested him back her 3 years later at the Weymouth Festival.